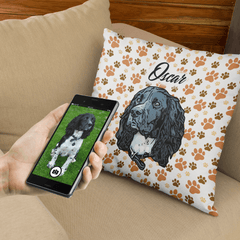 Have you lost a pet, and want to cherish all the best memories of them? This beautiful bracelet represents the Rainbow Bridge. The Rainbow Bridge is where our beloved pets go when they pass away, it is a special place where they can run and and play together with their animal friends. Wearing this bracelet, will help you keep them close to your heart wherever you may be. 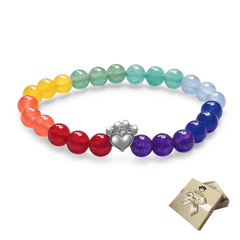 Each gem stone represents a colour of the Rainbow, and the charm is a combination of a heart and a paw. It is truly heart-warming, and we guarantee you will love it. 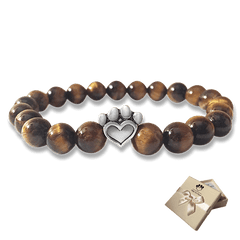 Every bracelet sold will also help dogs and cats in need, a portion of every sale goes directly to charity. We have sold far donated over £6,000 to charity. Your purchase will truly make a difference. The Rainbow was my first followed by purple, Christmas then the white one, I intend over tine to purchase them all, its a small price to pay to help these poor bears. I’ve purchased about 7 of these bracelets (for me, family and friends) as I think they are amazing. I feel like my fur babies are still with me when I’m wearing mine. I lost my beautiful girl holly only 3 weeks ago I miss her so much iam hoping she's ok where she is at rainbows bridge I love this bracelet. I love my bracket it is rainbow bridge one. I found it a comfort now my lovely car has past away thank you . I was surprised when I received my bracelet they are beautiful a photo doesn't do it justice buy one and see for your self you will not be disappointed. I lost my yorkie Maisie 6 weeks ago, a very upsetting time for my family and I. Then I saw this bracelet and thought what s lovely way to remember her. It is so lovely and every time I wear it all the happy memories of her come flooding back. Love. My rainbow bracelet and ive also got a black and white one. I feel my boy is always with me. Ordered two bracelets, one for myself, the other for a friend, they arrived in beautiful little boxes, with a pretty ribbon, anyone would be very happy, i'm sure, to receive one as a gift. 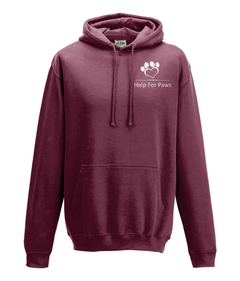 Great fit, lovely colours, very reasonably priced, and very fast delivery, all in all, i highly recommend for someone who has lost a beloved pet, extremely happy with purchase. bought this in memory of my beautiful girl really nice brightly coloured bracelet i would recommend this as lovely keepsake , purchase was easy delivery was quick excellent customer service. 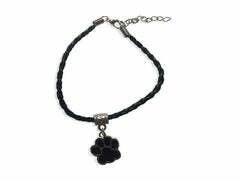 Beautiful multi coloured bracelet with cute silver animal paw. Representing the rainbow bridge. Helps me to feel connected to my dear cat who passed away age 19 last year and all the little pets before him. I purchased this beautiful bracelet in memory of my German shepherd, Scrumpy. We lost her 2 years ago now. She was such an amazing girl. Miss her so much. A wonderful bracelet, well made, and such beautiful colours. I wear it all the time ! Purchased this for my best friend who lost her dog after a bad accident, she was over the moon with it. It looks gorgeous on and she is always wearing it as a reminder of him. Lovely bracelet, my wife and I both wear ours all the time in memory of all the wonderful dogs we have loved and who have loved us in return. Thank you so much. The first bracelet was too large. No problem in getting it exchanged for the smaller size . I love all the colours and the fit is perfect this time . Shall be buying more as gifts in the future. Such a pretty box too. Thank you . I brought this for a friend who had lost there pets last year. I have not given it to her yet but I am sure she will love it as I do. Well made very pretty and feels solid and well made. I bought the rainbow bracelet for my child, in memory of our dog that recently passed away. The bracelet is adorable and she absolutely loves it! I love the bracelet!! It's the first jewelry item I've bought on line that looked like it did in the post. It is very comfortable to wear. Cute little bracelet for a very good cause !!!! This Rainbow bracelet is very pretty. It will serve to remind of the 3 dogs we have lost last year. Thank you ! I love my bracelet!!! I wear it everyday to keep my Standard Poodle, Jacques close to me. I travel all over the world so it's nice to keep his memory with me everywhere I go. My bracelet gets so many compliments!!! I bought my rainbow bracelet to remember my dogs I've lost, all five of them. Mainly from a shelter/or adopted from someone else. They lived a good life with us until the age of 12/13. 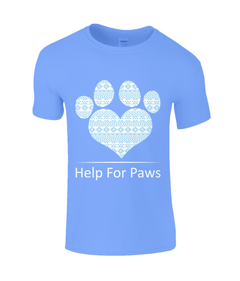 But also as a one off support for "help for Paws". I love the bracelet, the colours are beautiful. Love the colours in bracelet. fits my thin wrist (small) well. Best of all is that proceeds go to a great cause. I bought this bracelet a few days after I lost my beautiful cat, Freddie to tongue cancer. It has brought my great comfort and more so as I’m helping a wonderful charity. It is a nice bracelet but mine snapped after only a few weeks not great and so disappointed. My dog has been diagnosed with cancer. I have put the bracelet to one side until she has passed away. The bracelet is fabulous and I am extremely pleased with it. Bought one for myself and one for my sister, she loved it. Beautiful bracelet , delicate and in a lovely presentation box. Bought it for a friend, she loved it too, a lasting reminder for her beloved pet to let her know she will always be close. This is a gorgeous, colourful bracelet. Brought the Rainbow bracelet for my daughter Gemma, whose beloved Brooke (Dalmation) went for her forever sleep 3 years ago; it was Brooke's birthday so brought it in her memory, my daughter was really please with the gift. Love the bracelet but can’t wear it as it’s too big and I can’t make it smaller. I love my rainbow bridge bracelet i wear it all the time and i feel that my doggies that are in heaven are always with me, i had 3 doggies one called Sinbad the other called Pebbles and the last one was Jasper. Love this bracelet. Shows brilliantly with any clothing. stones beautiful bright colours and ths little paw is so cute. 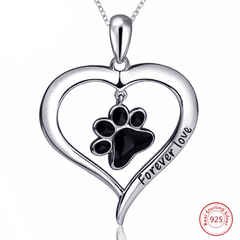 A very pretty item to remind you of your lost but never forgotten pets! I bought this for my friend who's dog has just passed. I know she'll be delighted with it & the fact that a percentage goes to animal charities will really please her too. Delighted with the Bracelets, very good value for money, cannot show a photo of them being used because they have been bought as Christmas presents, but i do know that the recipients will be delighted with them. I love the bracelet a memory of my dog joey very coloureful. Love the bracelet, all was dealt with very efficiently, thank you. Good quality, perfect fit. Goes with any outfit.